If you’re looking for a way to regain your lost confidence when you laugh and smile due to missing teeth, then dental implants could be an option for you. 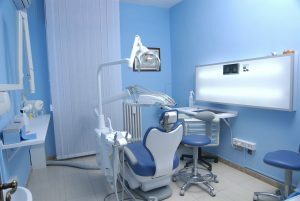 The procedure of dental implantation, which involves the use of titanium anchors, posts and tooth-colored crowns (artificial teeth), replaces missing teeth permanently. The dental implants are Titanium anchors which are surgically implanted into the jaw bone and become the substitutes for missing roots. Small posts are then attached to the implants. Together, the anchors and posts create the foundation that the tooth-colored crowns (artificial teeth) are cemented into. Once completed, the dental implants look, feel and function like natural teeth. If you have missing teeth and are considering dental implants as a possible solution, we invite you to contact our Smithtown dental office, Contemporary Dental Implant Centre, to schedule your free dental implant consultation today. During your free consultation, we will take the time to discuss the procedure in depth and to answer any questions or concerns you may have. Our staff at our Smithtown dental office, Contemporary Dental Implant Centre, has the extensive experience and expertise in dental implantation you need and the dedication to providing the professional, high quality, personalized care that you deserve. We perform over 2,000 dental implantations a year and have had the pleasure of helping thousands of patients improve the quality of their lives. Thousands of our patients have reported that dental implants have positively changed their lives. Nothing gives us more joy than to positively impact the patients we serve.